An Eye Emergency Can Be Very Stressful! When do I need to visit the emergency room for an eye emergency? Do I need to visit an eye doctor for pink eye or an eye infection? I have dirt in my eye, should I see a doctor? These questions and many more may be running through your head right now. We also serve patients from the nearby communities of North Las Vegas, Nellis, Lake Las Vegas, and Boulder City. 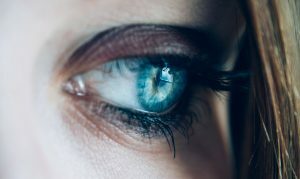 When Should I Seek Medical Care For An Eye Emergency? If you are experiencing any of the situations listed here, seek immediate emergency care. Please note the information on this page is for general information purposes and is not a substitute for medical advice from an eye doctor. If you are experiencing these symptoms during business hours call us at (702) 500-0525 if you cannot get through call or visit a local emergency room. If you are experiences something stuck in your eye, pink eye, a scratched eye, or another type of eye emergency contact your Las Vegas Eye Doctor Today! 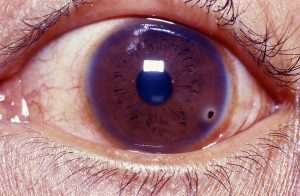 One of the most common eye injuries occuring from even light impact to the eye are Subconjunctival hemorrhages. They are commonly referred to as eye bleeding or having a popped blood vessel in the white of your eye. 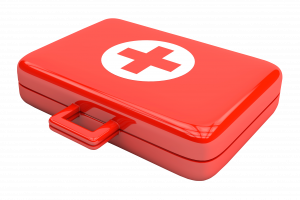 While they appear to be an emergency in almost all cases, if it is not in conjunction with other symptoms, it will heal by itself. In most cases a swollen eye looks worse then it actually is. 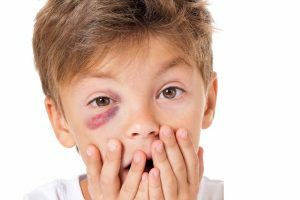 A black eye may occur from sports or any other impact to the area surrounding your eyes. While it is not something that should scare you, it is highly recommended to visit your eye doctor in order to make sure there was no damage or internal swelling to your eye. Severe scratches to your eyes can cause potential long term issues with your eye. However most small scratches heal fine under the supervision of an eye doctor. In the event of a scratch be aware that the number one concern is infection, do not touch your eye or rub your eye, try to see your eye doctor as soon as possible. In the event of a chemical burn you should seek medical care as soon as possible. While waiting for an ambulance or driving to the facility tilt your head and flush your eyes continuously with water. If you are wearing contact lenses attempt to remove them from your eyes. 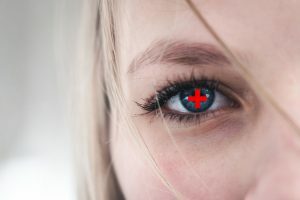 While most chemical burns if treated promptly will not leave long term harm, it is essential to take a chemical burn seriously as some chemicals such as alkaline based cleaners can damage your eyesight. If you have something small stuck in your eye such as sand, dirt, or dust you may try and remove it at home. First make sure your hands are clean, make sure not to rub your eye as this may cause a scratch. Attempt to look under the lids by flipping them up. Flush your eyes with cold water and blink. If this does not work, contact Dr. Yesnick to schedule and emergency eye exam in Las Vegas. Pink eye is a term used to describe either viral or bacterial eye infections. Common symptoms include oozing liquid, red eyes, and itchy eyes. 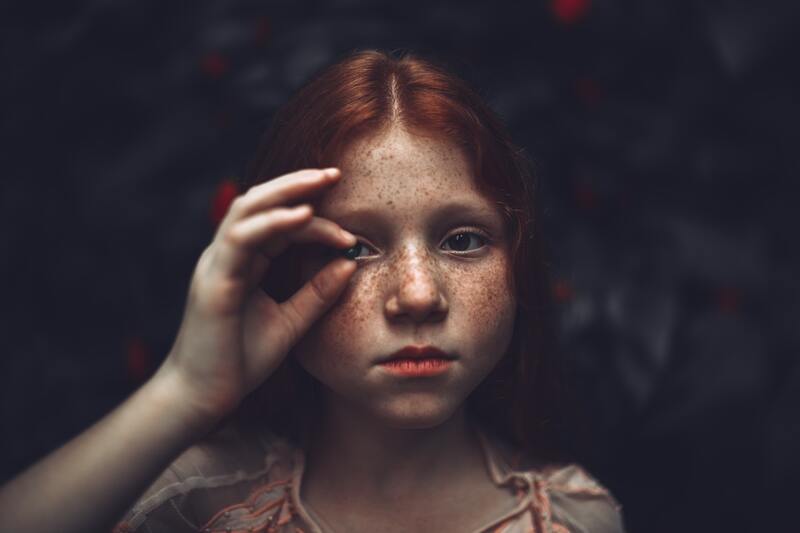 While many causes for red eyes are not contagious, a viral infection is highly contagious and therefore these symptoms should be looked at by an eye doctor as soon as possible. Eye infections can be caused by viruses, fungi, or bacteria. Any part of the eye can get infected. Infection can happen in one or both eyes. Styes and conjunctivitis are two of the most common eye infections. Pink eye or conjunctivitis is term used for infection of the conjunctiva, which is the clear layer above the white of the eye. This layer, in spite of being transparent, is made up of many blood vessels. Viruses or other triggers of infection cause these blood vessels to dilate. This is the reason for the appearance of red or pink eyes. Viral Conjunctivitis - As the name suggests, this type is caused by a virus, just like common cold. This type of pink eye should clear by itself within a week or two. It is contagious and spreads by sneezing or coughing too. Thus, even if it starts in one eye, the other eye is infected soon. Treatment of Viral Pink Eye - Viral Conjunctivitis usually clears on its own after several days. Medication is usually not required. It helps to wipe the eyes from the corners towards the ends with wet cotton balls. Throw the ball of cotton after one single wipe. Bacterial Conjunctivitis - This type of conjunctivitis is caused by bacteria. This needs to be treated to avoid further damage to the eye. This is contagious and spreads by contact with the discharge. Sticky greenish or yellow discharge from the corner of the eye, which may result in eyelids stuck upon waking up. Treatment of Bacterial Conjunctivitis: Since bacterial conjunctivitis is caused due to bacteria, it responds well to treatment with antibiotic drops and antibiotic ointment. You can treat the eyes with a few wipes in a day just like with viral pink eye. Allergic Conjunctivitis - This type of pink eye is caused due to irritants in the environment like pollen, dust, and animal dander. Due to this reason, flare-ups can be seasonal and recur at the time of the year when there is more exposure to the irritant. Treatment of Allergic Conjunctivitis: Since this type is caused due to allergy, allergy medicines work fine. You may talk to your doctor about starting to use the medicines before the season you are prone to starts. When you see the symptoms of eye infection, talk to your optometrist for a proper diagnosis of the type of conjunctivitis you have and the course of treatment for your type of pink eye. Prevention of conjunctivitis: Although it is not easy to protect your eyes from getting infected, the following precautions are very helpful. Do not share towels, flannels, etc. Frequently clean surfaces using an antiseptic cleaner. Use a hand sanitizer to keep hands clean. One or both eyes affected Treatment of Viral Pink Eye Viral Conjunctivitis usually clears on its own after several days. Medication is usually not required. It helps to wipe the eyes from the corners towards the ends with wet cotton balls. Throw the ball of cotton after one single wipe. 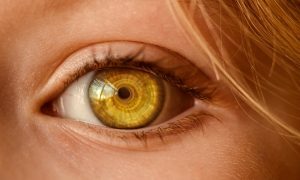 Symptoms of Bacterial ConjunctivitisPink/red eyeSticky greenish or yellow discharge from the corner of the eye, which may result in eyelids stuck upon waking up. Infection in one or both eyes Treatment of Bacterial Conjunctivitis Since bacterial conjunctivitis is caused due to bacteria, it responds well to treatment with antibiotic drops and antibiotic ointment. You can treat the eyes with a few wipes in a day just like with viral pink eye. Treatment of Allergic Conjunctivitis Since this type is caused due to allergy, allergy medicines work fine. You may talk to your doctor about starting to use the medicines before the season you are prone to starts. Although it is not easy to protect your eyes from getting infected, the following precautions are very helpful. Do not share towels, flannels, etc.Wash your hands properly. Sneeze and cough coveredFrequently clean surfaces using an antiseptic cleaner. Use a hand sanitizer to keep hands clean. The following are a few conditions of the eyes that may need immediate attention. Wash your hands thoroughly with soapy water. Try to locate the object using a mirror or the help of somebody else. If you cannot locate it easily, look under your eyelids. Gently pull down your lower eyelid to see under it. For the upper eyelid, place a sterile cotton swab on its outside and fold the eyelid over it using the lashes. Blink your eyes to get the tears and the natural eye lubrication to work. Use room temperature water and try to wash out the object. You may use a faucet or a shower or water in a cup. Carefully pull your upper eyelid over your lower one and gently roll your eyes. Wipe the inner corners of your eyes with a sterile swab of cotton. Remember to look in the direction opposite to where you can feel the object. Do not try to remove it. Do not touch it or apply pressure. Wash your hands with soapy water. If it is a small object, cover both the eyes with a bandage. Bandaging both eyes helps by preventing movement of the eye. If the object is large, tape a clean paper cup or similar item over the eye to prevent touching the eye. Book an emergency appointment with an optometrist right away. Cuts and scratches in the eyes- In such a scenario, use a clean cold compress on the eyes to treat swollen and bleeding eyes. Do not apply pressure to the eyes. Dress the eyes with a sterile bandage if blood pools in it. Go in for an emergency eye treatment. Eye Infections: Eye infections may have symptoms like sore, itchy, and red eyes. This disease is also called, Conjunctivitis (bacterial or viral), and it's usually not dangerous to the eyes. If you are concerned, however, talk to your optometrist, who may be able to give you medicine to speed up the healing process and reduce risk of infecting others. The first thing to remember when something gets into your eye is to not rub your eye. That’s because rubbing may lead to scratching and corneal abrasions. If you accidentally get some cleanser in your eye and it causes pain, rinse your eye out immediately with cool, clean water. Hold your eyelid open and allow running water to flow over it. A stye is a pimple in your eye, visit our Las Vegas Optometrist Dr. Yesnick for the most advanced emergency eye care in Nevada. Dr. Yesnick is proud to lead an incredible team and serve the greatest patients in his Las Vegas practice. A world renowned expert in Low Vision care, Dr. Yesnick has patients who visit from all over the country and world for his services. Although his practice has grown over the years to become the largest private practice in Nevada, serving patients form Las Vegas, Spring Valley, Summerlin and beyond, their emphasis on quality care and personal attention remains. Dr. Yesnick and his team are passionate about all kinds of eye care from emergency eye care to treating eye diseases, and of course comprehensive eye exams. 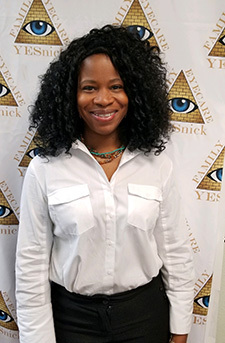 If you have an eye emergency rest assured that Dr. Yesnick will utilize the newest technology and take the time to provide the very best treatment in the Las Vegas area.